GLACSHE began as a small group of enthusiasts around 1991. Spurred on by Karen Bazilewich, the group consisted of Carl Ashenbrenner, Bob Basaldua and Pete Assan and a few others. We had our first official event on Aug 29, 1993, and we named our group Cocker Spaniel Hunting Enthusiasts, CSHE. It was our first Working Certificate test, with judge Carl Ashenbrenner. We had several cocker qualifier's, and even had some springer's entered. It rained all day, ribbons given out included one for Karen's Bazil's Dew Drop CD,CDX,JH,WDX. Soon to get involved was Lisa DeNood, Everette Jenkins, Darlene Ryder and Emil Salmons. Though we called it CSHE at first, it was soon changed, with the onset of many English Cockers working in the field,to AMERICAN Cocker Spaniel Hunting Enthusiasts, ACSHE. We trained out at Bong Recreation Area, and also at Emil Salmons', north of Lake Geneva, WI. We took advantage of all the the support we received from the Wisconsin English Springer Spaniel Association, WESSA. They were especially helpful with our American Cockers at the practices they held. In addition we trained with Southern Wisconsin Sporting Spaniel Club, SWSSC, and there it got to the point that we had our own little cocker group. We would go off and train in one area, while the others trained in another area. This is where Karen first met Jason Givens, one of the few of the Springer Spaniel group that took her training of an American Cocker for field work seriously. In fact, back in 1991, he helped Karen fix a problem with her Spud (Bazil's Silver Solitaire), where others told her to forget about the dog and not bother. Jason's helpful nature cememted Spud's future titles, and Spud is better known now as Bazil's Silver Solitaire CDX, JH, SH, WDX. Soon, the faces began to change after we started training at Karen Hopper's farm, also north of Lake Geneva, WI with SWSSC. 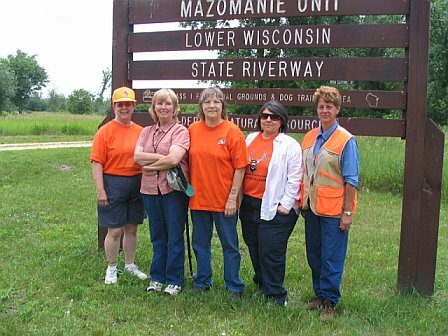 This is when Shirley Hunsaker joined our group, and also Laurel Grahm, Mary Havlis and Steve Wilburn. Shirley joined the group after meeting Karen at a Cocker Spaniel Specialty's obedience trial in 1995. Then around 1996 Ruth Ginzberg joined, and the club which had had mostly men in the beginning, began to have a majority of women as members. We then thought it a good idea to try for AKC recognition and because of AKC rules, needed to add to our name something that would refer to our geographical area, so we made our final name change to Great Lakes American Cocker Spaniel Hunting Enthusiasts, GLACSHE. With Ruth Ginzberg aboard, and the internet in full swing, things began to change and move quickly. Ruth began lists on the internet dealing with American Cocker Spaniels working in the field, and word began to spread like wildfire. From a handful of people working a few dogs, we have grown to a more sizeable group of regulars who get together at various times and places to work adult dogs and start puppies. We have members on both coasts although most come from the states of Wisconsin and Illinois. Since those early days, we have had working dog certificate tests and in 1998 we also included a Started Dog test for American Water Spaniels. Fourteen spaniels of various breeds plus 5 American Water Spaniels entered that test and stayed for fun and good food afterwards. 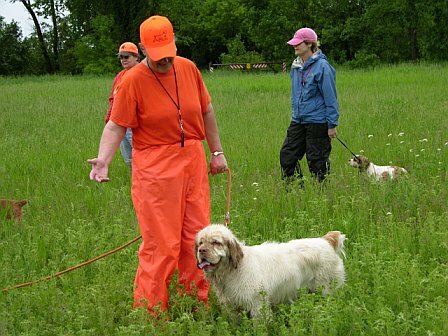 We have also had multi-day clinics featuring clinicians such as Trish Jackson from Maine, owner of the first American Cocker Spaniel to earn a Master Hunter title (the late Ch. Pett's Southwest Breeze,MH,WDX, "Ruby") and the first American Cocker Spaniel to win a Field Trial Championship since the 60's (FC Madison's Pride and Passion SH) and Bob and Marsha Linehan from California. The Linehans are the owners/trainers/ handlers of 5 Cocker Spaniels to earn Master Hunter titles as well as of the first Cocker Spaniel to qualify for National Field Trials since the trials were begun after having been discontinued in the 60's. 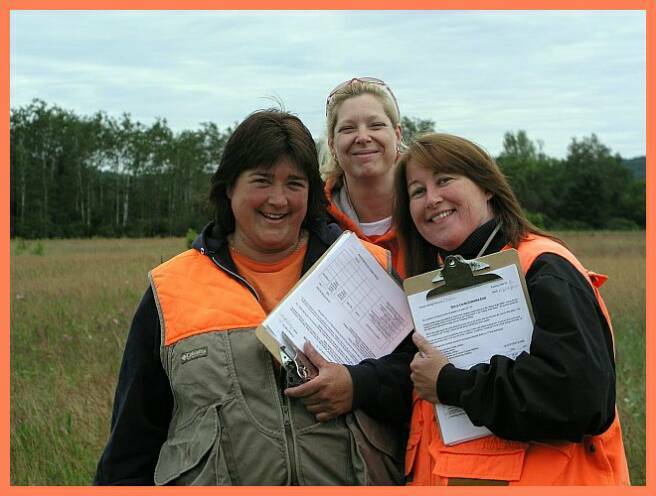 All levels of experience came to these clinics, from puppies and adults who've never been in the field to more experienced dogs and handlers preparing for Senior or Master Hunt tests. Our clinicians have worked with them all and most participants have seen an improvement in their dog's performance and in their handling because of the expert advice received from these talented people. In addition to attending practices held by other groups such as WESSA (Wisconsin English Springer Spaniel Assoc.) and the Southern Wisconsin Sporting Spaniel Assoc., we tried a "Practice With a Pro" series with professional field trial trainer Jason Givens of Lighthouse Kennels. This was a "Member-Only Benefit" in which the pro's time was paid for by GLACSHE and members only had to pay for their birds. Jason's expertise is in training English Springer Spaniels for field trials but he is knowledgeable about several spaniel breeds, including Field Spaniels, Clumbers and our own American Cocker Spaniels. This was such a popular activity that we continued these practices for several years. 2001marked a milestone in our progress as a club when we became a member club of the American Spaniel Club, our parent organization and the breed club for Cocker Spaniels. We are thrilled that we are the first, and so far only, all-performance Cocker Spaniel club that we know of to be admitted into the ASC. In September 2003, we sponsored two 3-day training seminars with professional dog trainer R. Jerry Cacchio of Pondview Kennels, NY. The first, held in June in partnership with the Fanciers' Cocker Spaniel Club of Southern Wisconsin, had 20 dogs and their handlers representing a variety of Spaniels of all levels of experience. Purina also provided support for a cookout supper held on the beach Saturday evening at Bong. The second 3-day seminar with Jerry was held in September, also at Bong. We filled to our 20 dog capacity well before the event date and some of those who attended the June event were able to continue their training with Jerry in September. In the years to follow we have had seminars with Jerry Cacchio, Martin Deeley, Dan Lussen, Steve Griffiths, Trish Jackson, Tony Roettger and Chip Schleider every year since then. Please visit our Events and Training page for future seminars and events. In 2004 we held an instinct test/evaluation in connection with the Cocker Spaniel Summer Nationals at Perry, Georgia, in July and it was so popular that we have held the Instinct Test/Evaluation every year at the Cocker Nationals across the country. 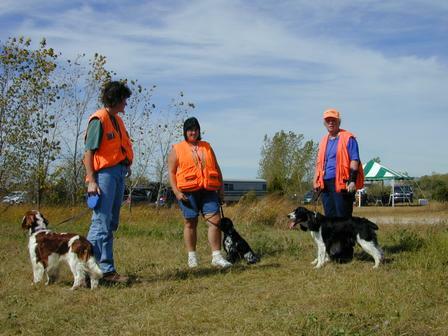 Another popular event held regularly is the "Take Your Spaniel Hunting" training days held at Springer Valley Game Farm here in Wisconsin several times a year. Members gather with their spaniels to enjoy a day of training and hunting at the game farm in central Wisconsin. See our Calendar of Events for more information. Contact Falmouth Video Productions for information on the new video "Form Follows Function" or access their Web page for a printable order form. It's an informational video which has been adopted by the board of the American Spaniel Club as required education material for conformation judges but it is inspirational for the rest of us. It relates the Cocker Spaniel standard to the function it is expected to perform in the field and has some wonderful shots of Cockers wiggling under, through and over obstacles in their quest to find game.